Simon & Schuster/Paula Wiseman Books, 9781416909163, 64pp. With Amelia’s great ideas, advice, and just plain fun doodles, you’ll never be bored again! Only the enterprising Amelia—while left in the doctor’s waiting room waiting for her big sister, Cleo—would invent this never-fail Boredom Survival Guide that no girl will want to leave home without! 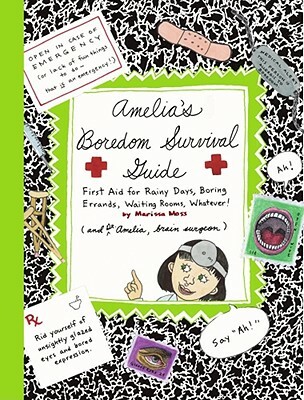 Fifty-one sure-fire boredom survival tips guarantee that Amelia’s fans will never be bored again.